The Thinkpower 3600W and 5000W inverters come standard with dual MPPT trackers. This means you can have two arrays in your system facing different ways IE: East and West, or South and East. 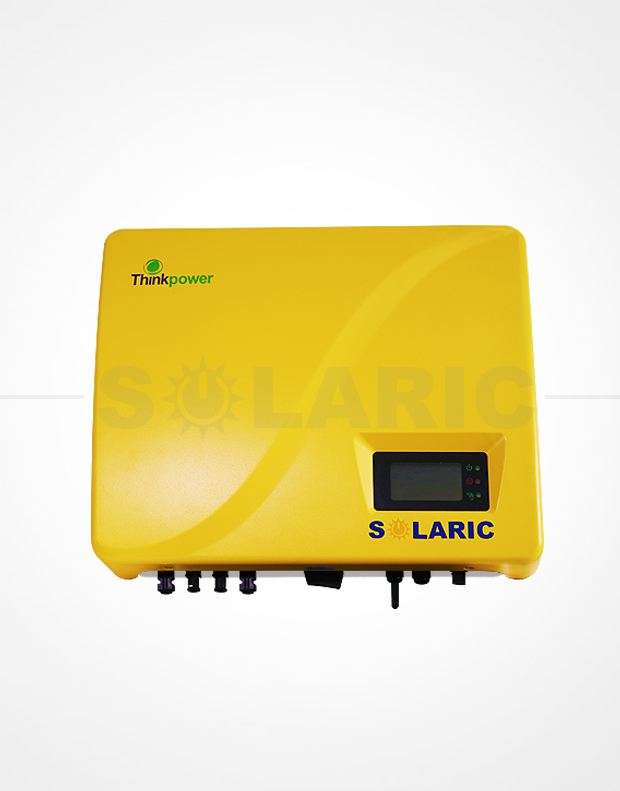 Pre-programmed to meet Philippine ERC Net metering requirements. We have this in stock – color YELLOW. 5 years warranty – as always – Solaric has a NO- NONSENSE local warranty for the products we sell. EU conversion efficiencies of 97.1% ~ 97.3%. Dual independent MPPT trackers with wide MPPT range. High-grade aluminium alloy die-cast casing with high-efficiency cooling system. Propietary DSP drive technology with advanced self-learning algorithms and 1 month back up parametric record. World-class electronic components in all elements. Sound-activated leading-edge BTN LCD display. Leadingedge capacitor control with propietary MPPT tracking algorithms for high efficiency in all conditions. Complete suite of protections including integrated over-voltage and instantaneous anti-islanding. Innovative weak-light power generation with feed-in threshold 10W. Weather-proof tool free plug-and-play connectors on AC and DC side. WiFI interface from any WiFi enabled device grid output selection and system commissioning. Multi-level TCP/IP based monitoring with fault-reportin remote troubleshoot and software update. Simple plug-and-play install integrated security feature.